Keeping bees in an urban environment has been getting more and more popular lately. Cities are rethinking and changing laws when it comes to beekeeping within city limits. 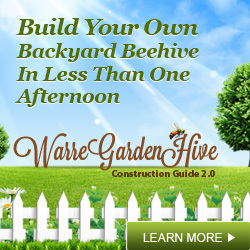 Have you been thinking about starting a hive in your backyard? Urban beekeeping presents it’s own set of problems that must be addressed by the beekeeper before starting the project. Although the extra steps can be tedious and time consuming to start with, the end result will be a problem free beekeeping operation right in your back yard. While your still in the planning stages of the operation you need to talk to all your neighbors. Believe me, being upfront with everyone will save you hours of aggravation down the road. You’ll want to find out if anyone has a serious allergy to bee stings. You’ll want to bring up the benefits the honey bees will provide to the neighborhood through pollination. After you’ve gotten your backyard hives going, think about sharing a jar of honey with the neighbors. A small act of kindness can go a long way. Choosing the style of hive to use in an urban beekeeping setting is very subjective and these are my personal views on the subject. The TBH or top bar hive is probably the most popular and economical hive for the backyard beekeeper. This type of hive takes beekeeping back to the basics. The comb hangs from a top bar and is more like the bees build in nature. The downside of this is it is much more difficult and messy to extract your honey. You can use a standard Langstroth hive if you wish but, in my opinion, the extra storage space of saving supers, queen excluders, frames, etc… makes the Langstroth a difficult hive to maintain. Where you place the hive is more important while urban beekeeping than it is to the average beekeeper. You’ll have to pay particular attention to your bees flight pattern. When bees are forageing they will fly 3-4 feet above the ground in transit. Carefully plan your landscaping to disrupt the flight pattern if it crosses sidewalks or dog walking paths. You can put up a hedge or fence that the bees need to go over, that would disrupt the pattern enough to keep the folks walking around your place and the bees from crossing paths. Keep your bees in the sun but out of site from the street. Your bees will be calmer in the sun and a hidden hive will keep vandals away. Make sure the bees have a shallow water supply on or near your property. Bees need water to survive and will seek out the nearest resource. You don’t want it to be your neighbors pool or bird bath for a couple of reasons. The neighbor may not want that many bees flying around them while their enjoying their backyard and a deep water supply like that will result in many our your bees being drowned. Obviously not good for you, your neighbor, or your bees. With urban beekeeping you’ll want to take extra precautions to keep the bees calm. By following a few simple rules you can keep the uproar to a minimum. Only work your bees during the day when most bees are foraging. Don’t work your bees when a storm is looming, they be be more aggressive. Don’t use perfumes or scented soaps. Always keep your smoker handy and wear protective gear. Another great article. Top bar hives are a great way to keep bees, and arguably a much more natural way. The one drawback is that the bees will produce less honey in a TBH, but the flip side of the coin is that you will get much more beeswax, which is a very useful product too. 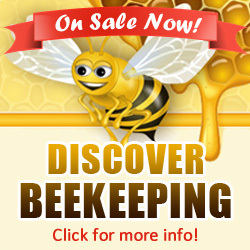 Thank you Bestbeekeeping! Your absolutely right, if your only in it for the honey then Top Bars are not for you. There are so many things you can do with beeswax, it adds a fun twist that everyone in the family can enjoy! You can try making your own candles or lip balm. Warm greetings to my fellow beekeepers / enthusiasts! b. Queen rearing – since there is less predator especially during queen mating period most likely has higher chances of queen and drone copulation. Hello all the way from Africa. Such an interesting site and the “empty cell” article amazed me. I too have garden hives of the Langstroth variety – here in South Africa we have failly generous sized gardens – in my area they average 1 acre, which assist in managing space, neighbours and also assists in foraging. My reward has been my entire family becoming caretakers of the hives and has changed their – and some of their friends – thinking. So often do they ask to be around and even kitted up to see how things work in a hive over weekends – it sure has openend a few minds and has been a joy for all.